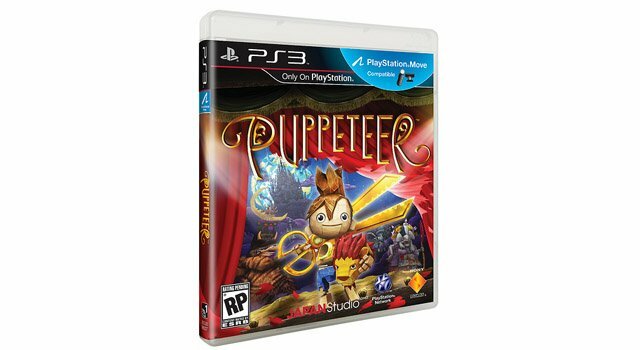 We already knew that Puppeteer was scheduled to launch on September 10th, however, Sony Computer Entertainment Worldwide Studios has now officially confirmed the date and announced that the game is being targeted for a retail and PlayStation Network digital distribution MSRP of $39.99. In addition to the lauch date and price, Puppeteer‘s art director, Gavin Moore, has also released a new story trailer that sheds more light on the game’s plot, and announced a new gameplay mechanic called “Hero Heads”. The new story trailer details the evil Moon Bear King’s rise to power, and explains how his twelve generals obtained their respective pieces of the powerful white moon stone. 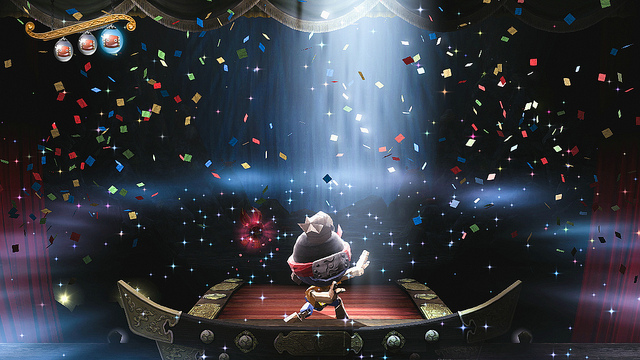 Puppeteer‘s story centers around a young boy named Kutaro, who is captured by the Moon Bear King and turned into a living puppet. The evil King then eats Kutaro’s head and tosses his body aside. It is at this point that players take on the role of Kutaro, as he steals the Moon Bear King’s magical scissors, and embarks on a journey to defeat the twelve generals and find his way home again. Aside from the magical scissors, Kutaro will also be able to use “all sorts of amazing heads” to help him on his adventure. Some “have the power to change and shape the world”, while others are said to “unlock bonus stages”. While there are many different heads that Kutaro can wear during the game, four in particular will be critical to his quest. These four “Hero Heads” possess powers that once belonged to the Moon Goddess’ four “Moon Heroes”. So far, only two of these powers have been revealed — the Shield Power of the Moon Knight head, and the Bomb Power of the Moon Ninja head — although Sony has not yet detailed exactly how their powers will work within the game. Sony Computer Entertainment Worldwide Studios has promised to reveal the remaining two Hero Heads over the next few months. 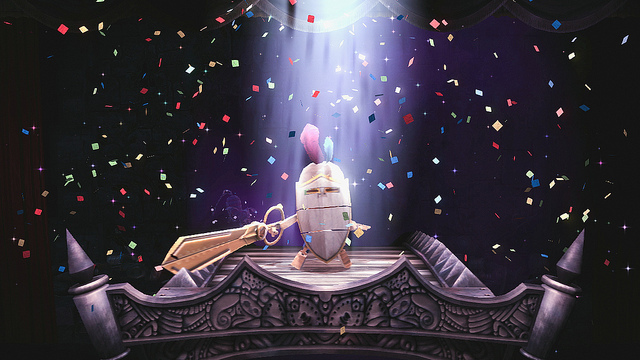 In the meantime, make sure to check out Puppeteer‘s new story trailer below and let us know your thoughts on the upcoming title in the comment section.